I come from a family of those who had fought for our country- one person who is dear to me is my Dad, Junior Afalla. If I recall, he has fought in two wars - Korean and Vietnam. 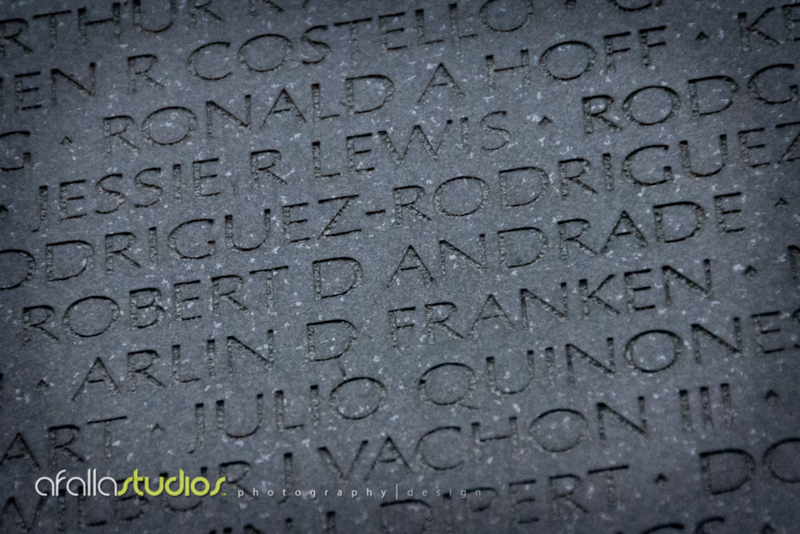 And from what my cousin, Roberta, tells me, Dad served 3 tours in Vietnam. Growing up as an Army brat, I never understood why Dad was so strict. He was a task master and a disciplinarian. When he came home from the Vietnam war, I was only 2 years old. Dad left for that war when I was only 4 months old. I slept in mom's bed and when Dad came home, I looked at him as if he was a total stranger. I would push him out of my mom's bed because I just didn't know him at that age. He was gone for so long. As time went on, I grew closer to him and although we've had our ups and downs, I still love him till today. Portrait of my Dad, Junior Afalla. A devoted father, husband, friend, and U.S. Army veteran who has fought for our country so that his family can live a life of freedom. Today, Dad is suffering from all the ailments that was a result of being a victim of agent orange- a powered substance that was used as part of the U.S. Army's chemical warfare. Unfortunately, Dad was exposed to this and the results damaged his kidneys and other internal organs over time. He now lives as a U.S. Army veteran and after a recent stroke, he's going to the V.A. hospital back home in Honolulu on a weekly basis for physical therapy. My dad has suffered for his family and it breaks my heart to see him go through all of this but he's a very strong man. He never complains about what he's going through. He is a devoted Seventh-Day Adventist and loves the Lord with all his heart and soul. Dad's brother, my late Uncle John, was also a war veteran. Dad followed his older brother's footsteps and this tribute is also for his brother, John Afalla. I also have friends from high school who either served in the military or are currently serving- one of which is my childhood friend, Rusty Spray. To my friends Lokelani Aipa Sarazen, Annette Vares Tanner, and Susie Williams for serving our country- woman power! I thank all of them from the bottom of my heart. 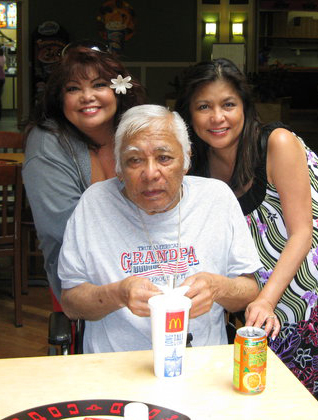 Dad's brother, Uncle John Afalla, with his two beautiful daughters, Roberta (left) and Jan (right). Below are a series of photos that were taken from a trip to Washington D.C. back in 2011. I was moved by the statues of the various war memorials which reminds us of how lucky we are to live a life with freedom. To those who have served our country and those who are currently serving our country, thank you for what you do so that I can have my own freedom.